UK drug council not "fit for purpose"
James Randerson, the Guardian Science correspondent, here describes the House of Commons' conclusions regarding the Advisory Council for the Misuse of Drugs (ACMD). The cross-party committee's conclusions are a damning indictment of the ACMD and its failure to reduce harm to individuals and society. The MPs noted that the ACMD made drug classification decisions on the basis of political and not scientific considerations and that this should be rectified. The cross-party House of Commons Select Committee on Science and Technology has called for a wide-ranging reform of the drug classification system. The committee's report highlights the fact that the existing categorization is based on the criminal penalties as opposed to the physical and social harms associated with different drugs. The committee has called for a more scientific approach to drug categorization. This is a positive result for all those interested in a more rational approach to drug laws. Here is yet another example of recent attempts by politicians in the US to abuse ancient freedoms to "protect" individuals, in this case from themselves. Congress is proposing to prohibit online gambling for Americans which as the article (linked via the above title and published in Deseret News on the 26th July 2006 by Walter Willams) points out is a breach of the 10th Amendment. Acting ultra vires seems to be in vogue for the existing US administration and has devastating consequences for personal freedom everywhere. As Williams makes clear this is a slippery slope. Let's hope the Senate rebuffs their meddling. This Oped, published on the 24th July 2006 in the Washington Times, is a plea to Senator Orrich Hatch to approach the drug war in America in the same way that he had done for "American victim of draconian drug penalties of the United Arab Emirates". Indeed it is a rallying cry to all of the Senate to approach drug policy in a rational and harm-reduction focussed way. This article, published on the 24th July 2006 in the Guardian, reports that Conservative party members are encouraging David Cameron, their leader, to push for the licensing of Afghan opium. They are arguing that the current coalition's attempts to eradicate the crop are a threat to both coalition troops and to the people of Afghanistan who rely on the crop as nearly their sole means of income. Given the worldwide paucity of opiate based medicines such as morphine, licensing opium would provide Afghan farmers with a legal and secure income whilst reducing the black market in heroin. A similar scheme was successfully undertaken in Turkey in the 1970s although at the time the US Drug Enforcement Administration was bitterly opposed. Ironically Turkey is now the main supplier of opiate based medicine to the US. This article from "Stats at George Mason University", published on 17 July 2006 and written by Maia Szalavitz highlights the failure of USA journalists to assess press releases objectively and to ensure their reporting is not manipulated by the political ends of lobbyists. Thus despite the fact that law enforcement officers are currently seeking extra funding for methamphetamine anti-drug task forces, journalists have uncritically accepted these officers' assessment of the problem of methamphetamine as the "number 1 drug problem". However these officers' assessment bears no correlation to drug treatment surveys or a recently released survey by the Sentencing Project which revealed that “methamphetamine is among the least commonly used drugs”. This article is interesting in highlighting the supine malleability of the US media by lobbying organisations and the resultant corruption of the "free" press. At least there was one ray of sunshine in her report since she noted that the San Jose Mercury News did make use of its critical faculties to publish the political lobbyist nature of the officers' press release; "While conducted scientifically, the survey is also a political document intended to rally support for additional federal spending. In some cases, the statistics are skewed to make a point". Unfortunately I'm guessing that the circulation of the San Jose Mercury News doesn't enjoy the opinion-shaping influence of, say, the New York Times. This article, posted on the 18th July 2006 in the Age, reveals that the Victorian Green party would prescribe heroin to long-term addicts, would abolish criminal penalties for illicit drug use and would test heroin injecting-rooms across the state. All these policies would be undertaken under trial conditions to monitor their effectiveness in terms of harm reduction. The trafficking of illegal drugs would continue to face criminal sanctions. This article from the Daily Mail, published on the 14th July 2006, reports the results of a study published in Neuropsychopharmocology which concludes that cannabis damages the adolescent brain, making it more susceptible to hard drug use later in life. Rats given THC in adolescent years were more likely to self-administer large quantities of heroin than rats which were not given THC during adolescence. The research also found "disturbances" of the endogenous opiod system or reward system of the brain. The conclusion of the study provides unfortunate ammunition to anti-drugs campaigner by focusing narrowly on the detrimental physiological effects of the drug. This type of narrow, editorial focus all too often blinds opinion-formers to the wider social, political AND physiological harms caused by prohibition. This article, from 6th July 2006 in Science Now Magazine (http://sciencenow.sciencemag.org/cgi/content/full/2006/706/1) quotes the researchers of the above study stating "both groups of animals took the same amount of time to start taking heroin, suggesting THC use doesn't start them on the path to hedonism, but the THC-primed rats got more into it, suggesting it paves the way for increased use." This would therefore seem to refute the case pressed by the Daily Mail that THC consumption is a gateway to harder drugs. The Scottish Drug Forum lambasts proposals to prevent drug addicts having children until they are clean and to force existing addict parents into mandatory cessation programmes or risk the loss of children or rights to free prescriptions. The proposals by the Labour Party in Scotland are "unworkable" and "counter-productive". The chairman of the Scottish Association of Alcohol and Drug Action Teams is quoted as saying "These proposals smack of cynical expediency and a depressing lack of vision." He also wonders why obese or alcoholic parents aren't to be treated to the same proposals as drug addicts. This article by Ian Bell of the Scottish Herald, published on the 11th July 2006, examines the proposal by the Member of the Scottish Parliament, Duncan McNeill, to prevent junkies from having children unless and until they become "clean". The article weighs the pros and cons of McNeill's proposals but ultimately rejects the proposal as unacceptable social engineering and as likely counter-productive in practice. This article describes how various international drug user groups have united in a coalition and made a declaration to end the human rights violations of drug users and to push for the universalization of harm reduction as a policy in drug strategy. The coalition seeks to challenge existing national and international legal frameworks for drugs and is described as a "social justice movement for people languishing in prisons and alleys around the world". The coalition, the International Drug Users' Group, will seek funding from the European Commission and the UN. The Transnational Institute here criticizes the UN 2006 Drug Report for skewed analysis of global drug demand and supply trends as well as for biased scientific reporting. This is a useful window onto the international drug policy world. This article from the Vancouver Sun, published on 28th June 2006, gives an update on the UN 2006 World Drug Report which reveals that the use of drugs especially marijuana has steadily increased. The report also highlights the increased potency of majijuana which may be linked to a rising number of adverse health events associated with marijuana use. The author blames this increase on the war on drugs. The UN's stance, however, is resolutely prohibitionist. This article from the Financial Times, published on the 5th July 2006, exposes the complete failure of opium farming prohibition in Afghanistan. Opium production is set to have doubled this year despite foreign military counter-narcotics programmes. The Taliban insurgency has been forcing farmers to grow the opium poppy while corruption has stymied all attempts to reduce the crop. Even government land, some 10,000 hectares, is being used to cultivate the poppy plant. This article from Rocky Mountain News, published on the 4th July 2006, questions whether it was desirable to try to eliminate alcohol use throughout America as was attempted during the Prohibition era last century. The author, Paul Campos, a professor of law at the University of Colorado, writes that too often the positive aspects of drugs, such as alcohol, are overlooked in the drive by politicians to demonize them generally. This article from Liberty magazine in their July/August 2006 edition discusses the effectiveness of reintroducing alcohol prohibition to Barrow, Alaska. The ban, introduced in 1994, reduced alcohol-related emergency room visits by over two thirds in the first 30 days after enactment. The author considers why state-wide prohibition failed earlier in the last century when there was a "smug non-compliance" with the Volstead Act even by various presidents. 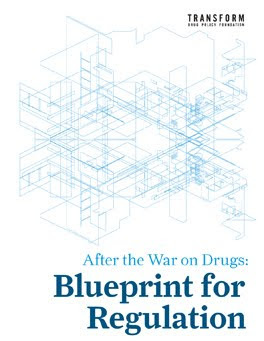 The author then criticises the proponents of drug legalization by referring to the problems caused by the legalization of alcohol. The author considers personal liberty less important than society's health. "It is in keeping with the principles of religious liberty to criminalize harmful substances, if those harmful substances would wreak havoc on a society." Given the harms caused by alcohol the author deems that "self-harm should be legally prohibited". 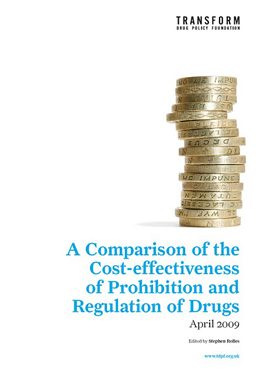 This article in Cafebabel, the European Magazine, posted on the 3rd July 2006 examines the potential for the legalisation of drugs to reduce the involvement of the criminal underworld and other costs caused by prohibition.